Enter your email address to subscribe to this blog and receive notifications of healthy posts by email. Pores exist all over the body that has hair, and it is not something to be ashamed about. Your sweat and sebum pass through pores. There are times where the pores appear larger than usual due to different factors. Large pores can make the skin appear dull and rough, and may affect a person’s self-esteem. But do not worry, there are plenty of ways to effectively shrink the appearance of pores. In fact, we have previously talked about some tips to effectively minimize the appearance of large pores. In this article, we will provide you with DIY facial mask recipes that can help make pores look smaller. Pores are the small openings that come in the form of tiny holes on the surface of the skin. A pore contains what we call sebaceous glands, each gland contains one hair follicle and produces oil or sebum. Pores can be found on the entire body except for parts where hair do not grow, like the palms of your hands and the soles of your feet. As previously mentioned, every pore contains sebaceous glands. The sebum produced by sebaceous glands travels up to the skin’s surface and aids in naturally moisturizing the skin. However, there are times wherein we go through so much stress and hormonal imbalance that our sebum production goes over than normal. There are also cases where these glands produce too little sebum, which may have been caused by over-cleansing and using drying products. Either way, both cases may result in large pores. There are other factors which cause large pores, including aging and genetics. But in most cases, large pores are caused by overproduction of sebum. So regulating sebum production is crucial to preventing the formation of large pores. As always, the condition of our skin heavily relies on how well we take care of our skin and how consistent we are in doing it. A miracle does not happen overnight, so if you’re seeking long-term results, you’re going to have to go through a rigorous process. A strict and appropriate skincare regimen is key to maintaining small pores. It is also very important to stay well-moisturized and exfoliate regularly. There are different ways to exfoliate, you can use a chemical exfoliant, clay masks, and even DIY natural masks. The combination of lemon and egg whites is said to be an effective skin tightening and pore shrinking solution. Egg whites contain properties that can shrink pores by means of tightening, although the results are usually temporary. Aside from the intended benefits, this mask can also lighten dull skin. Lemon contains antibacterial and lightening properties that can help fight acne and blemishes. However, lemon juice may be too harsh for certain skin types. To be safe, do a patch test on your forearm beforehand. To create this mask, mix 1 teaspoon of fresh lemon juice with 4 tablespoons of water. Then add an egg white, beat the mixture until consistency is thick. Apply the mask on clean and dry face, avoid eye and lip areas. The combination of brown sugar, cucumber, and aloe is not only effective in minimizing pores but also in soothing inflammation. Aloe vera contains hormones with anti-inflammatory properties. Additionally, aloe is used for healing wounds and various skin problems in Ayurvedic medicine. Cucumber is mostly composed of water, but it also contains essential acids like ascorbic acid. The properties of cucumber can reduce swelling and effectively de-puff your face. Brown sugar is smaller and softer compared to regular sugars. Raw brown sugar can effectively exfoliate and remove dead skin cells. This mask recipe has a variety of benefits, which include minimizing large pores. Apart from that, this mask is also mild and does not compromise the skin’s pH level. To create this mask, mix fresh alone (extracted straight from aloe leaves), cucumber juice, and brown sugar in equal measurements. As usual, do a patch test on your forearm before directly applying it on your face. Leave the mask on for 10-15 minutes. As previously mentioned, long-term results require long processes. This facial mask can only provide short-term results, but with regular and consistent use, your skin’s overall condition can improve for good. Banana is an antioxidant-rich ingredient that is effective in promoting a plump and glowing skin. Banana is capable of deep cleansing, which can draw out impurities, help unclog pores, and regulate sebum production. 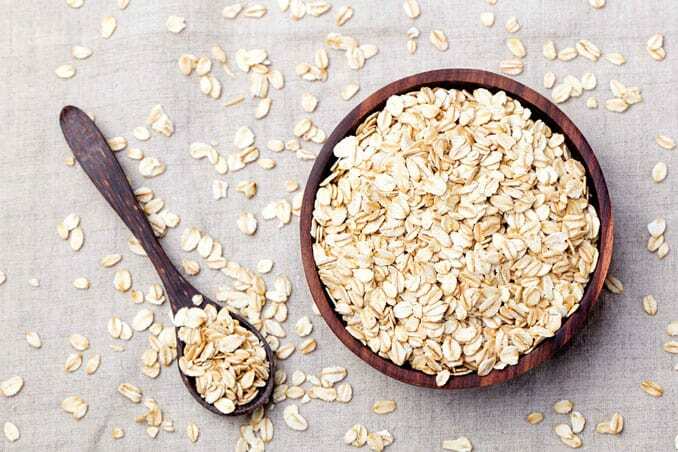 Oatmeal has soothing properties that can reduce inflammation and improve moisture retention. The consistency of oatmeal can remove dead skin cells on the surface of the kin. To create this mask, mash a peeled and ripe banana into a bowl and add a tablespoon of oatmeal. You can add more oatmeal if you feel the need to do so. Make sure that the mixture is thick and not too rough before applying it to your face. This combination is probably the most raved-about DIY mask for large pores. Apple cider vinegar has alpha hydroxy acids, an essential acid that exfoliates and replenishes the skin’s surface. It can naturally fight toxins, deep cleanse, and draw out oil buildup from pores. Keep in mind though that the combination of these ingredients may be too drying, so use it with caution. Mix one tablespoon of apple cider vinegar, ½ cup of baking soda, and one teaspoon of fresh lemon juice. Stir the mixture until you form a paste. Do a patch test first and wait for 15 minutes before applying it to your face. Leave the mask on for no more than 10 minutes. After using this mask, do not forget to tone and moisturize. For extra moisture, add 2 drops of your favorite essential oil to your moisturizer.